Sage durvasa is very angry person. Once he was walking with a garland of flowers called SANTANAKA. The Indra (Also known as devendra) was coming in the opposite direction riding his elephant (Airavatam) ignored him. Duravsa gave him that garland, which was thrown on Airavatam by Indra. The elephant threw that garland on the floor and trampled it. Durvasa lost his temper. He cursed Indra "You became very proud, let laksmi forsake you". Lord Indra then felt his folly and he begged the pardon from Sage durvasa. Then sage advised him to contact Vishnu. On account of sage's curse, Lakshmi left Indra and went away. The laksmi the goddess of power, bravery, enthusiasm and radiance left, Devendra's life became miserable. The demons waiting for such beautiful opportunity invaded heaven. They defeated Indra and gods, occupied heaven. The gods lost their immortality. Years past, with no other way, all gods went to Vishnu and pleaded him the help. Vishnu advised them to churn the sea of milk. He also said that churning the sea is very difficult job, Get the assistance of demons (asuras) by gaining the friendship with them. Sage Bruhaspathi was successful in managing demons for the job. The churning started on time. MANDARA is the mountain with which churning is being done. After some time , Mountain started sliding into the mountain bed. Then Lord Vishnu helped the team in the form of Tortoise. The MANADARA was placed on the floating Tortoise.The churning started again with vigor. Then a cloud was arosed from ocean bed which choked devas and asuras. Both devas and asuras then suddenly arose from the ocean bed a cloud, which choked the Devas and the Asuras. The Devas and Asuras began shouting for help. They were at loss as to the reason for the suffocation. Then they realized that the ocean had thrown up the KALAKUTA, the dreadful poison. Everybody was frightened by its fierceness. The Devas prayed to Shiva and hoped that he would come to their rescue for the poison was the most effective fiery substance, which no one except Shiva could swallow. Shiva hearing the cries immediately came to the rescue. Then, as requested by the gods, Shiva agreed to drink the poison. 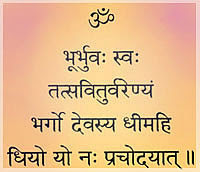 Lord Shiva held this poison in his throat and saved the mankind. The poison was so powerful that it turned lord Shiva s throat in to blue colour. From then he was also known as Neela kanta. Later Amrutha came from sea, which was taken by Devas by cheating asuras. Let me stop this Sea churning episode here. Coming back to Lord Shiva blue throat. The poison in the throat is always a burning sensation for lord Shiva. Lord Shiva loves to spend time in meditation (Dhyanam). But this burning throat is not allowing him to do his meditation. Then he ordered Nandi to sit in front of him and blow some air on to his throat. The air blown on to his throat releives him from the burning sensation. From then onwards, Lord Shiva does his mediation with the help of Nandi. 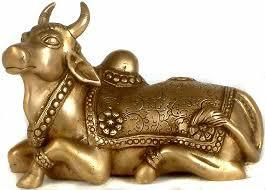 This is the story behind having Nandi sitting in front of Lord Shiva in all our temples. Whenever we visit lord Shiva temple we should not go in between Nandi and Shiva lingam (we should not break the path between Shiva and Nandi).If we do so, People say that we are disturbing lord Shivas meditation. If we have a wish to share with lord Shiva, we should tell the wish in the ears of Nandi. Nandi later share the wishes of visitors with Shiva after the meditation. informative. I'm going to watch out for brussels. I will appreciate if you continue this in future. Lots of people will be benefited from your writing. Cheers! Good my dear freind, you are sharing very imp information about LORD SHIVA.